When we want to make a GameObject clickable, an easy solution would be to use a Event Trigger Component. But if you like me, prefer to use code, you would try to use Interfaces. A Physics Raycaster component in the camera that will receive the input. A EventSystem object, can be created in GameObject -> UI -> EventSystem. This interface handles the simple click event. 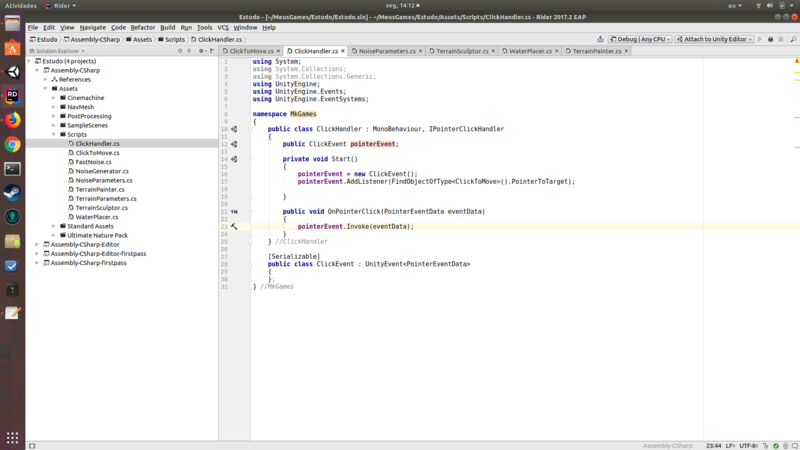 //There is no limit for how many Interfaces your class implement. // you need to make it Serializable too. //Must have the same parameters, pData could be any name, but must be a PointerEventData. Detects drag events with mouse or touch.